Hansgrohe > Design Shower Set & Croma Select E / Ecostat E.
Hansgrohe Design shower set and Croma Select E overhead shower / Ecostat E.
Shower kit with handset, wall outlet, 2 jet rain shower, thermostatic valve, back box and hose. 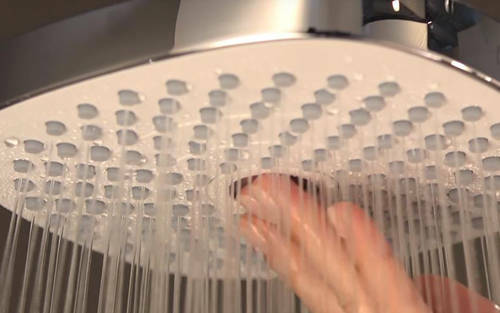 Shower handset: spray pattern: Rain. Shower overhead: spray pattern: Rain, IntenseRain (180x180mm). 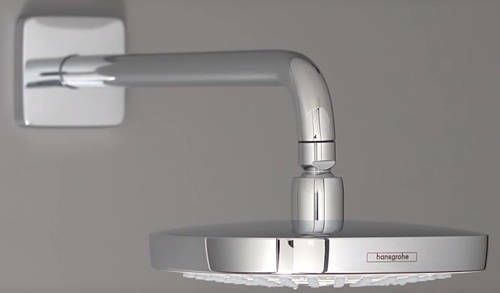 Shower handset head size: 110 mm. 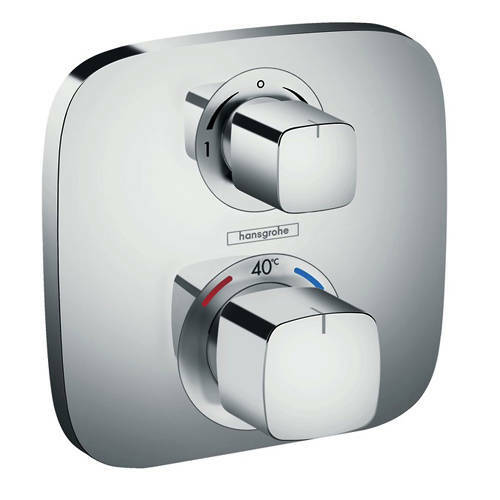 Thermostatic concealed shower valve (2 outlets). Operating pressure: min. 1 bar/max. 10 bar. 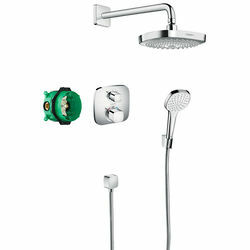 iBox universal basic set ½" and ¾".